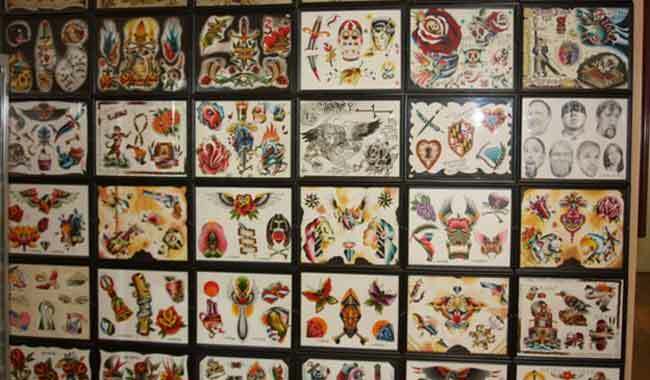 Enter to win a $60 gift certificate to Baltimore Tattoo Museum, a Baltimore Harbor Guide Local Favorite, specializing in tattooing, exhibits, artifacts, and piercing. 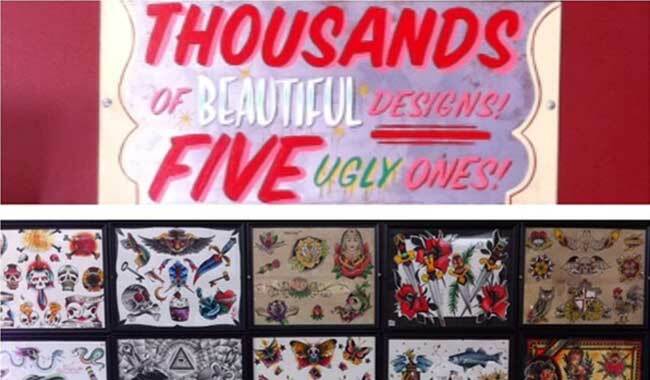 Located at 1534 Eastern Avenue, Baltimore, MD 21231. To increase your odds of winning, you may enter once daily during the contest entry period. Sponsor: The Sponsor of The Baltimore Harbor Guide Giveaways is Impact Associates, 841 East Fort Avenue, #289, Baltimore, Maryland 21230, USA, hereinafter referred to as "Sponsor". For complete contest rules please scroll down and see Complete Baltimore Harbor Guide Official Giveaway Rules. 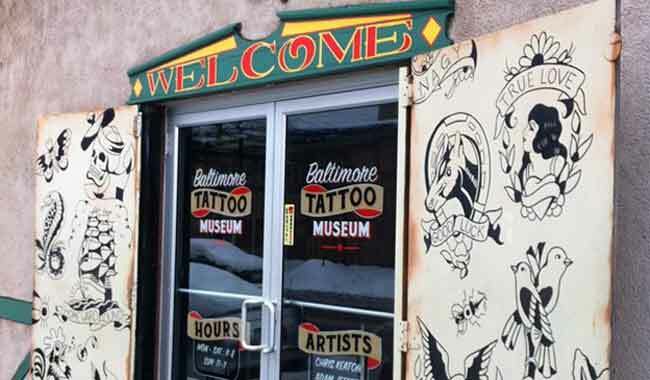 Enter to win a $60 Baltimore Tattoo Museum gift certificate, courtesy of the Baltimore Harbor Guide! Winner will be chosen randomly by our software and contacted via the e-mail address used to enter, so it is important that you correctly enter your e-mail address. Winner will be notified within five days of the closing of this contest. The winner's name and town will be posted on this website. The Baltimore Harbor Guide is a family owned local business featuring local favorites for a true Baltimore experience! You can pick up your free copy of the print version of the Baltimore Harbor Guide at numerous Baltimore hotels, many Baltimore businesses, the Baltimore Visitor Center, Maryland Welcome Centers and many other locations. The Baltimore Harbor Guide is FREE and is the best way to navigate around Baltimore's Magnificent Inner Harbor and some of Baltimore's most loved harbor area neighborhoods! It features large, detailed and easy-to- read maps. The deadline to enter is November 15th 2017 11:59 PM Pacific Time Zone (due to server restrictions). The winner will be notified within five days of the deadline. Enter once daily to increase your odds of winning! You may not enter more times than indicated by using multiple e-mail addresses, identities or devices in an attempt to circumvent the rules. If you use fraudulent methods or otherwise attempt to circumvent the rules, your submission may be removed from eligibility at the sole discretion of the Sponsor. The Giveaways are open to legal residents of the fifty (50) United States and the District of Columbia who are planning to visit Baltimore, Maryland within one year of winning the prize or within the time frame that the Giveaway prize won is valid. OR, if you are planning to visit Baltimore, Maryland from outside of the United States of America, we do not mail or ship prizes outside the United States of America. You must be planning to visit Baltimore because we want the prizes to be used. The Giveaways are subject to all local laws and regulations and are void where prohibited. Also void outside the USA where prohibited. It is your responsibility to know your local laws. Employees of Impact Associates (the "Sponsor"), their respective affiliates, subsidiaries, advertising and promotion agencies, suppliers and their immediate family members and/or those living in the same household of each are not eligible to participate in the Giveaways. Employees, owners, officers, and their immediate family members, of the business whose gift card, certificate or prize is being given away may not enter to win their company's prize. However, they may enter to win any of the other prizes given away by The Baltimore Harbor Guide on this website. The Giveaways are subject to all applicable federal, state and local laws and regulations. Void where prohibited. You may enter once daily on this website! Any attempt to circumvent this rule will result in disqualification from this contest and may result in being permanently blocked by our software from entering any of our contests. Please see complete rules below. ELIGIBILITY: Giveaways are open only to those who sign up at the appropriate online Giveaway page on The Baltimore Harbor Guide website only. No other companies, websites or entities are authorized to take any entries or award any prizes. Since there may be more than one Giveaway offered at the same time, you must sign up for each Giveaway individually. Because many of the Giveaways are for restaurants and bars which serve alcohol, you must be at least 21 years of age as of the date of your entry. (Under Maryland law you must be 21 years of age to consume alcohol.) The Giveaways are open to legal residents of the fifty (50) United States and the District of Columbia who are planning to visit Baltimore, Maryland within one year of winning the prize or within the time frame that the Giveaway prize won is valid. OR if you are planning to visit Baltimore, Maryland from outside of the United States of America, we do not mail or ship prizes outside the United States of America. Therefore, if you win and do not reside in the United States, you will have to pick up your prize at the Baltimore hotel in which you are staying when you come to Baltimore or at a mutually agreed upon location in Baltimore. (This must be within one year of winning a prize, or the prize will be null and void.) 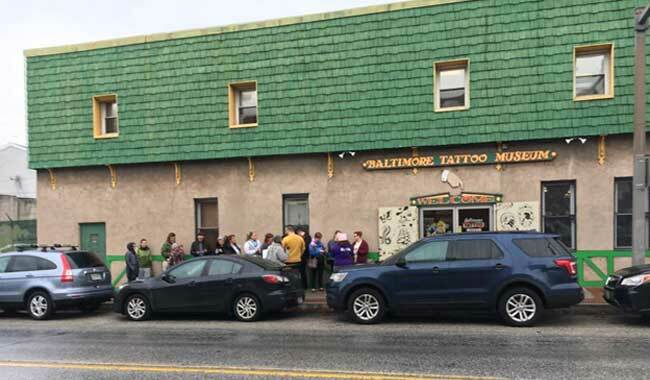 You must be planning to visit Baltimore because we want the prizes to be used. The Giveaways are subject to all local laws and regulations and are void where prohibited. Also void outside the USA where prohibited. It is your responsibility to know your local laws. Employees of Impact Associates (the "Sponsor"), their respective affiliates, subsidiaries, advertising and promotion agencies, suppliers and their immediate family members and/or those living in the same household of each are not eligible to participate in the Giveaways. Employees, owners, officers, and their immediate family members, of the business whose gift card, certificate or prize is being given away may not enter to win their company's prize. However, they may enter to win any of the other prizes given away by The Baltimore Harbor Guide on this website. The Giveaways are subject to all applicable federal, state and local laws and regulations. Void where prohibited. AGREEMENT to RULES: By participating, you agree to be fully and unconditionally bound by the Rules set forth herein, and you represent and warrant that you meet the eligibility requirements set forth herein. In addition, you agree to accept the decisions of the Sponsor as final and binding as it relates to the content. The Giveaways are subject to all applicable federal, state and local laws. TIMING of GIVEAWAYS: There may be multiple Giveaways running at the same time. Therefore, entries will be accepted online at the appropriate starting date and time for each Giveaway and ending at the stated ending date and time for each Giveaway. You must enter each Giveaway individually and during the appropriate time frame as stated on our website for each individual Giveaway. All online entries must be received before the stated ending date and time for each Giveaway. Sponsor's computer is the official time-keeping device for all Giveaways. HOW to ENTER: The Giveaway(s) must be entered by submitting an entry using the online form provided on this website. The entry must fulfill all Giveaway(s) requirements, as specified, to be eligible to win a prize. Entries that are not complete or do not adhere to the rules or specifications may be disqualified at the sole discretion of the Sponsor. You may enter only once per day and you must fill in the information requested each time you enter. The Sponsor encourages you to visit the website often as we will be posting new Giveaways from time to time and we may offer short-term “flash” Giveaways. Additionally, we may be posting new and interesting information about our Baltimore Harbor Guide Favorites and Baltimore in general. You may not enter more times than indicated by using multiple e-mail addresses, identities or devices in an attempt to circumvent the rules. If you use fraudulent methods or otherwise attempt to circumvent the rules, your submission may be removed from eligibility at the sole discretion of the Sponsor. PRIZES: Sponsor may be offering multiple Giveaways for different prizes at the same time. The prizes will be described on this website. You must enter for each prize separately. Winner of a Giveaway prize will receive the prize that they enter for and win. There will be no consolation prizes. If you do not win, you will not receive a prize. Sponsor reserves the right to give a substitute prize of equal value for any reason. (For example but not limited to, a $50 gift certificate to Restaurant A is won and Restaurant A goes out of business or changes ownership. Sponsor may at their sole discretion substitute a $50 gift certificate to another Baltimore area restaurant.) Actual/appraised value may differ at time of prize award. The specifics of the prizes shall be solely determined by the Sponsor. No cash or other prize substitution permitted except at Sponsor's discretion. 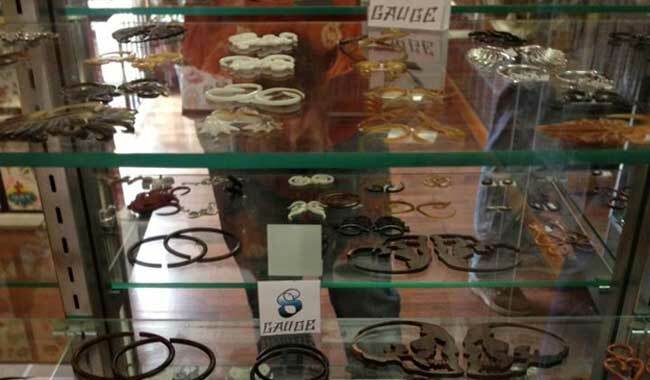 The prizes are non-transferable and may not be sold. For each prize won, the winner's full name and address may be provided to the merchant who will be fulfilling the prize given by the Sponsor. For some prizes, if required by the merchant or the Sponsor, you may be required to show your identification at the time of redeeming the prize to prove that you are the winner. Any and all prize related expenses, including without limitation any and all federal, state and/or local taxes shall be the sole responsibility of the winner. No substitution of prize or transfer/assignment of prize to others or request for the cash equivalent by winners is permitted. Acceptance of prize constitutes permission for Sponsor to use winner's name, town and state of residence, and entry to verify that the prize was awarded and also for purposes of advertising and trade without further compensation, unless prohibited by law. WINNER SELECTION and NOTIFICATION: Winners of the Giveaway(s) will be selected in a random drawing under the supervision of the Sponsor. Winners will be notified via e-mail to the e-mail address they entered the Giveaway(s) with within five (5) days following the winner selection. The Sponsor shall have no liability for a winner's failure to receive notices due to winner's spam, junk e-mail or other security settings or for the winner's provision of incorrect or otherwise non-functioning contact information. If the selected winner cannot be contacted, is ineligible, fails to claim the prize within 15 days from the time award notification was sent, or fails to timely return a completed and executed declaration and releases as may be required, prize may be forfeited and an alternate winner selected. Prize will be mailed to the winner at the address given to the Sponsor at the time that the winner is notified. The prize will be sent via USPS requiring a signature verifying receipt of the prize. Failure of winner or winner's authorized agent to sign for the prize will result in prize being forfeited and returned to the Sponsor. The receipt by winner of any prize offered in the Giveaway(s) is conditioned upon compliance with any and all federal and state laws and regulations. ANY VIOLATION OF THESE OFFICIAL RULES BY ANY WINNER (AT SPONSOR'S SOLE DISCRETION) WILL RESULT IN SUCH WINNER'S DISQUALIFICATION AS WINNER OF THE GIVEAWAY PRIZE AND ALL PRIVILEGES AS WINNER WILL BE IMMEDIATELY TERMINATED. RIGHTS GRANTED by YOU: By entering to win the Giveaway(s), you understand that the Sponsor, anyone acting on behalf of the Sponsor, or its respective licensees, successors and assigns will have the right, where permitted by law, without any further notice, review or consent to print, publish, broadcast, distribute, and use, worldwide in any media now known or hereafter in perpetuity and throughout the world, your entry, including, without limitation, the entry and winner's name, town and state of residence, statements about the Giveaway(s), and any information provided by a winner or required by the Sponsor to award a prize as news, publicity or information and for trade, advertising, public relations and promotional purposes without any further compensation. TERMS: The Sponsor reserves the right, in its sole discretion to cancel, terminate, modify or suspend the Giveaway(s) should (in its sole discretion) a virus, bugs, non-authorized human intervention, fraud or other causes beyond its control corrupt or affect the administration, security, fairness or proper conduct of the Giveaway(s). In such case, the Sponsor may select the recipients from all eligible entries received prior to and/or after (if appropriate) the action taken by the Sponsor. The Sponsor reserves the right at its sole discretion to disqualify any individual who tampers or attempts to tamper with the entry process or the operation of the Giveaway(s) or website or violates these Terms & Conditions. The Sponsor has the right, in its sole discretion, to maintain the integrity of the Giveaway(s), to void votes for any reason, including, but not limited to: multiple entries from the same user from different IP addresses; multiple entries from the same computer in excess of that allowed by Giveaway rules; or the use of bots, macros or scripts or other technical means for entering. Any attempt by an entrant to deliberately damage any web site or undermine the legitimate operation of the Giveaway(s) may be a violation of criminal and civil laws and should such an attempt be made, the Sponsor reserves the right to seek damages from any such person to the fullest extent permitted by law. By entering the Giveaway(s) you agree to receive e-mail newsletters periodically from the Sponsor/Baltimore Harbor Guide and its affiliates. You can opt-out of receiving this communication at any time by clicking the unsubscribe link in the newsletter. LIMITATION of LIABILITY: By entering you agree to release and hold harmless the Sponsor and its subsidiaries, affiliates, advertising and promotion agencies, partners, representatives, agents, successors, assigns, employees, officers and directors from any liability, illness, injury, death, loss, litigation, claim or damage that may occur, directly or indirectly, whether caused by negligence or not, from (i) such entrant's participation in the Giveaway(s) and/or his/her acceptance, possession, use, or misuse of any prize or any portion thereof; (ii)technical failures of any kind, including but not limited to the malfunctioning of any computer, cable, network, hard ware or software; (iii) the unavailability or inaccessibility of any transmissions or telephone or internet service; (iv) unauthorized human intervention in any part of the entry process or the Giveaway(s); (v) electronic or human error which may occur in the administration of the Giveaway(s) or the processing of entries. While the Sponsor uses reasonable efforts to include accurate and up-to-date information on the Site, information can change at any time. The Sponsor makes no warranties or representations as to the accuracy of any information on this Site, for example, but not limited to: directions, parking, transportation information, hours of operation, menu items, ownership, and/or management, and BHG recommendations and reviews are based upon BHG staff's own experiences. The Sponsor makes no guarantees or warranties that this will be your experience, and you are encouraged to do your own research before attending or using any businesses, attractions, services, prizes won, etc. on this Site. We are giving you information and/or prizes, if applicable, that you can choose to use or not use. Therefore, you go to any of these places on your own volition and at your own risk. Furthermore, when following any directions, whether driving or walking, or parking information, remember you are in a large city and there are certain risks involved in travelling within a large city. Therefore, you assume all risk and liability, and your personal due diligence is required for your own safety. The Sponsor assumes no liability or responsibility for any recommendations, prizes, errors or omissions in the content on this Site. DISPUTES: ALL GIVEAWAYS ARE GOVERNED BY THE LAWS OF THE UNITED STATES OF AMERICA AND THE STATE OF MARYLAND, WITHOUT RESPECT TO CONFLICT OF LAW DOCTRINES. As a condition of participating in the Giveaways, participant agrees that any and all disputes which cannot be resolved between the parties, and causes of action arising out of or connected with the Giveaways, shall be resolved individually, without resort to any form of class action, exclusively before a court located in the state of Maryland having jurisdiction. Further, in any such dispute, under no circumstances will participant be permitted to obtain awards for, and hereby waives all rights to claim punitive, incidental, or consequential damages, including reasonable attorneys' fees, and participant further waives all rights to have damages multiplied or increased. SEVERABILITY: The invalidity or unenforceability of any provisions of this Agreement shall not affect the validity or enforceability of any other provision of this Agreement, which shall remain in full force and effect. Each term and provision of this agreement shall be valid and enforceable to the fullest extent permitted by law and any invalid, illegal or unenforceable term or provision shall be deemed replaced by a term or provision that is valid and enforceable and that comes closest to expressing the intention of the invalid, illegal or unenforceable term or provision. WINNERS LIST: Winners will be posted on this website. The list of winners posted on the website will be periodically updated as more Giveaways are won. This agreement was last modified on January 1, 2015. © 2014-2015 Impact Associates. All Rights Reserved.